Sorry for the lack of posts the past few days. I've been busy with errands, so I haven't even gotten a chance to catch up on all of the other blogs I read! As usual, it was extremely hot a few days ago, so I paired a simple H&M tank dress and a ruffle skirt together. And yes, I'm wearing my favorite beat up leopard flats. A local department store has an amazing mirror in the lobby of the restrooms. It's probably ten feet tall. I stood around and as inconspicuously as possible, took a few photos. 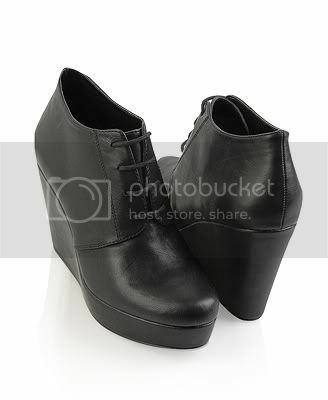 You may notice that my Forever 21 oxford wedges arrived. Verdict? I'm usually a size 7.5 - 8, and while the shoes are a little loose on me, since I ordered an 8, I'm really happy with them. I like them a little loose because I can wear socks or even socks and tights together. They're fairly comfortable, but I'll probably put some cushions inside. After a few hours of walking around, the balls of my feet ached. But hey, that's what happens when I combine high shoes and lots of wandering around. My mom bought me a box of chocolate when she and I went out shopping. I apologize for the low quality photo. 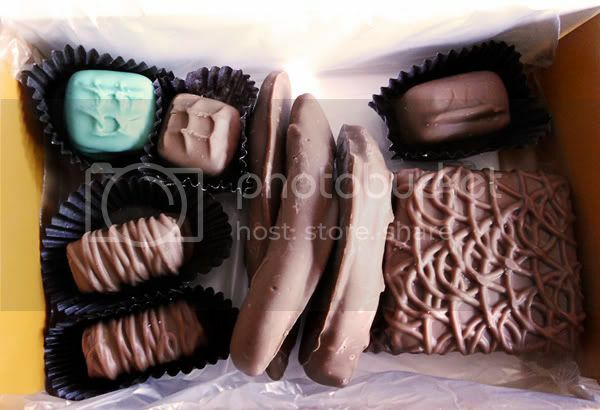 I was going to snag my DSLR to take a photo, but come on-- it's chocolate! I was too hungry to take proper photos. 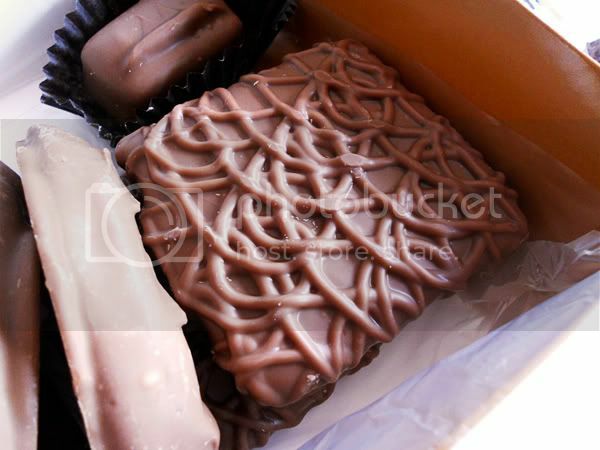 Next time I get chocolate, I promise I'll take more detailed photos. Also, I know I still have to get back to a few of you, so please be patient. I'll be able to catch up tomorrow!